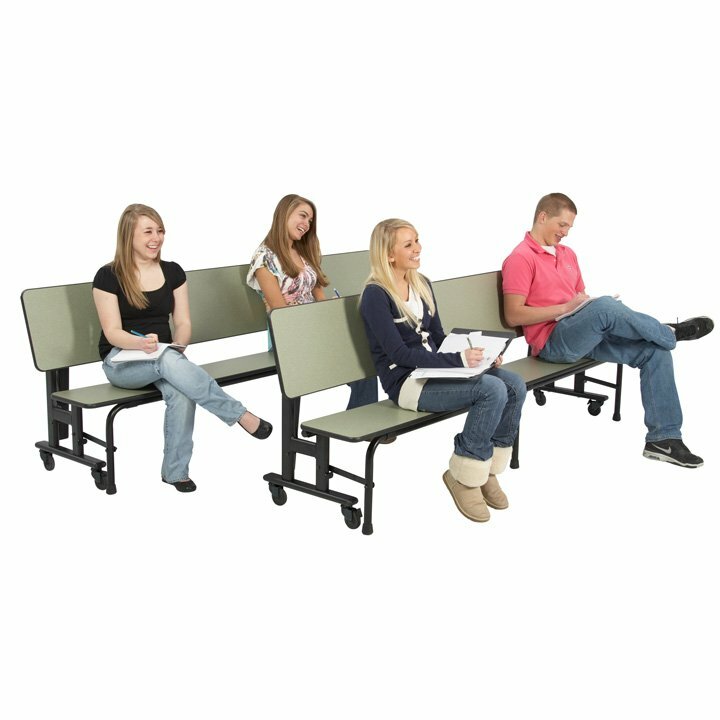 Innovative Patented Table, Bench and Social Seating — All in One! 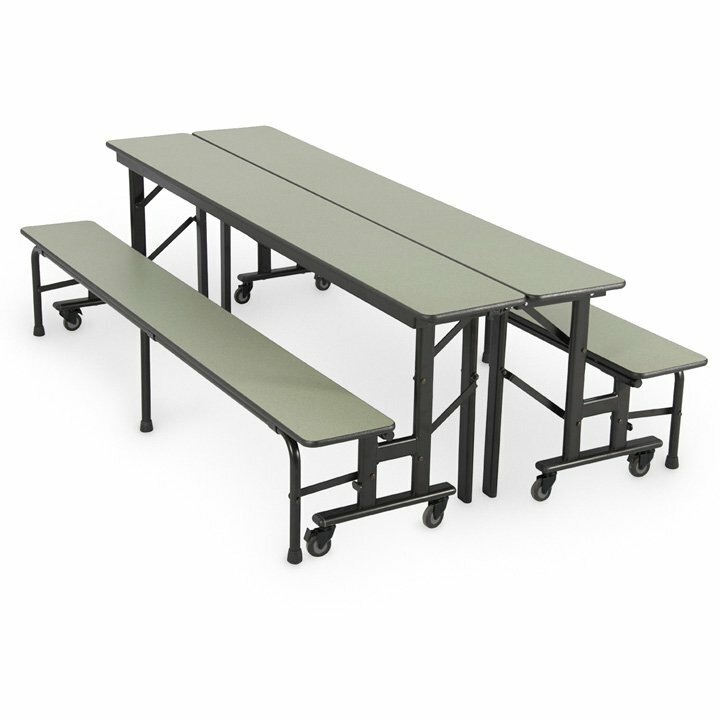 With its patented, ultra-versatile design, the SICO® 3-in-1 ConverTable cafeteria tables reach new heights in practical, multi-functional style. 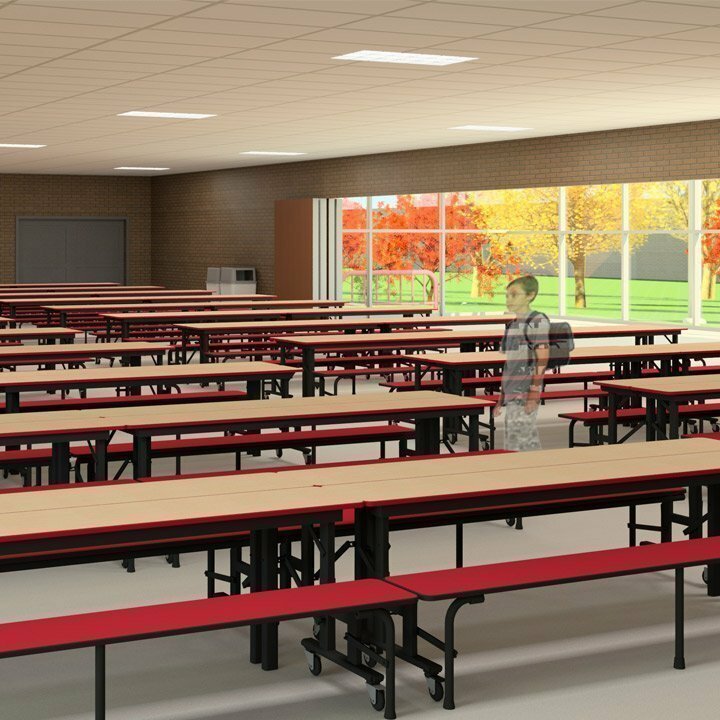 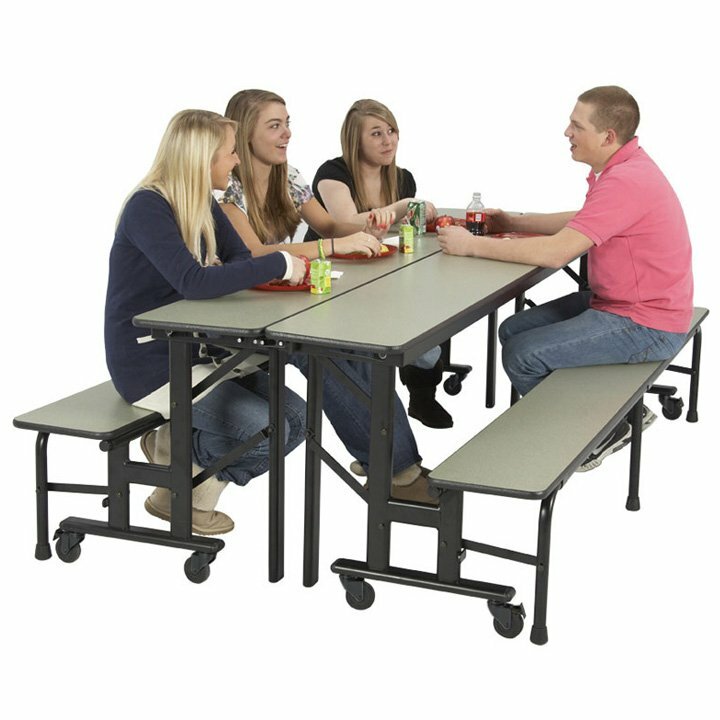 Ideal for schools, churches, clubs, community centers, or any other facility that has a multi-purpose room, it can be instantly transformed from a single lunchroom table with bench seating for dining or testing applications, to a bench unit for auditorium-style seating, or to social-seating mode in which two units are linked together. 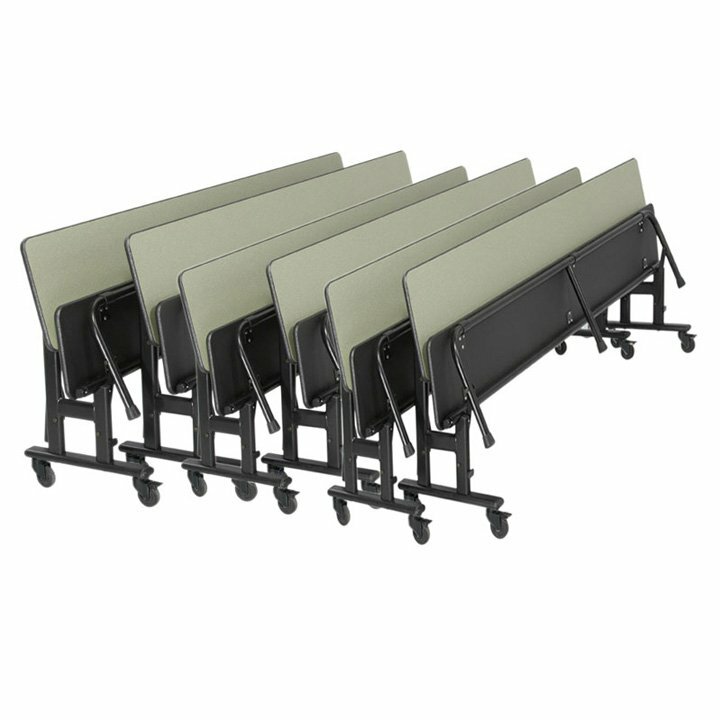 Plus, a fourth option allows it to be used in a classroom setup as a bench with back support, together with a writing surface! 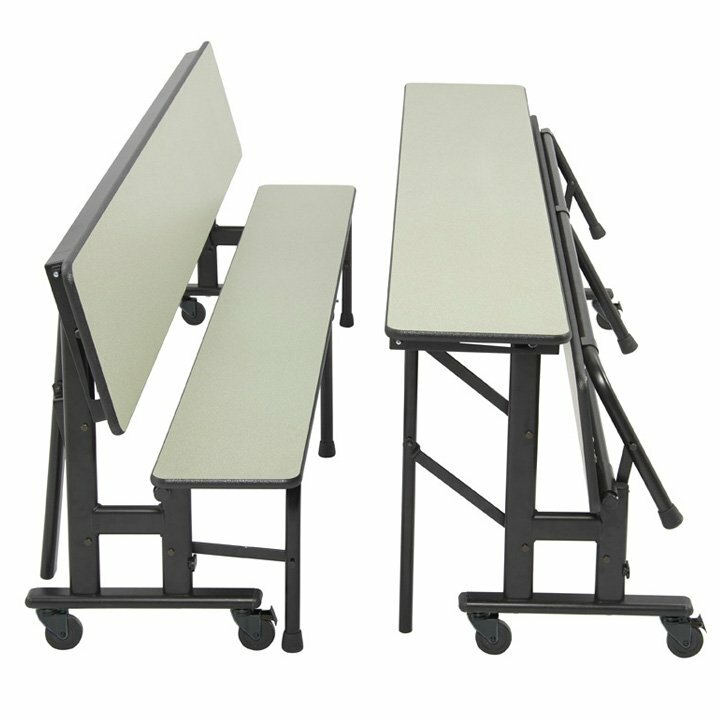 With the 3-in-1 ConverTable's multi-use possibilities, you'll save money by not having to buy other tables that only serve one function — and cut labor costs because of reduced times for setup and take down. 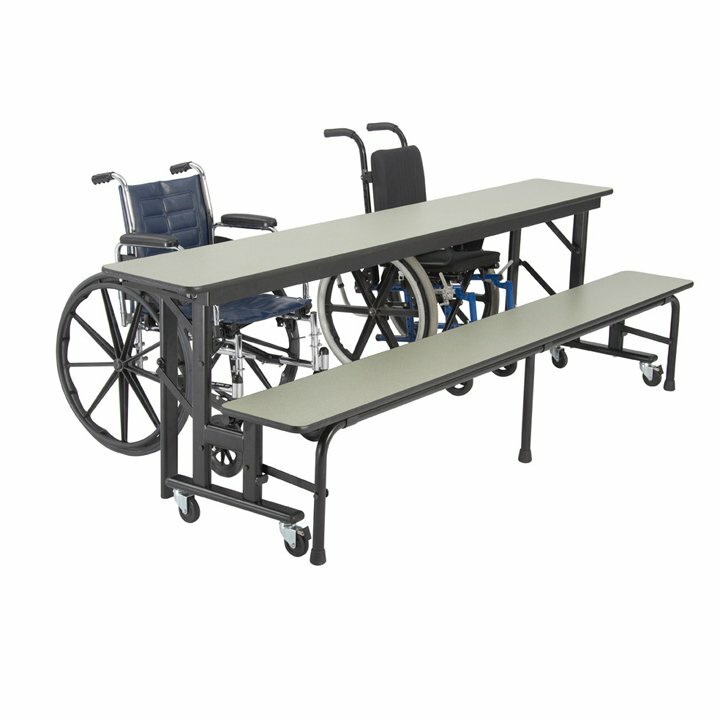 Each 3-in-1 ConverTable unit rolls smoothly on its own casters and folds into a compact footprint for convenient storage that optimizes your inventory space. 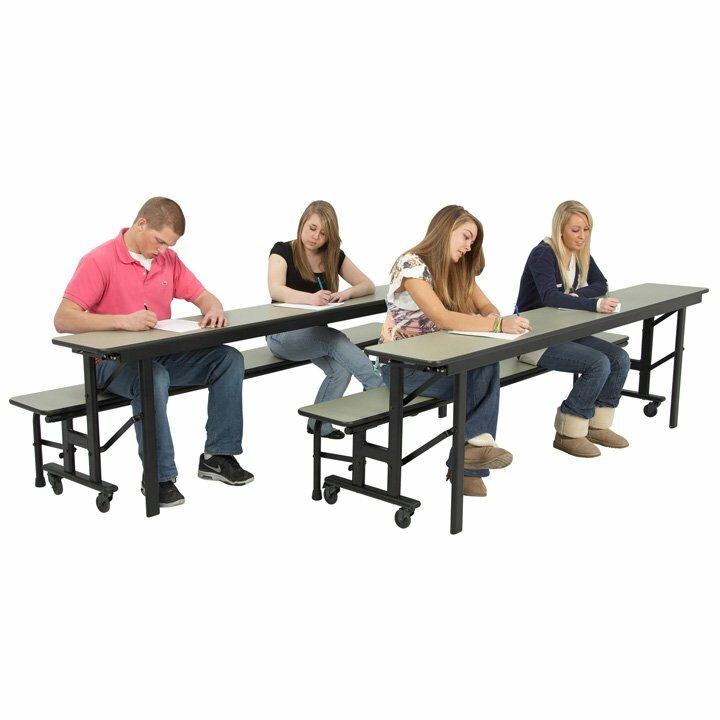 No more standing room only! 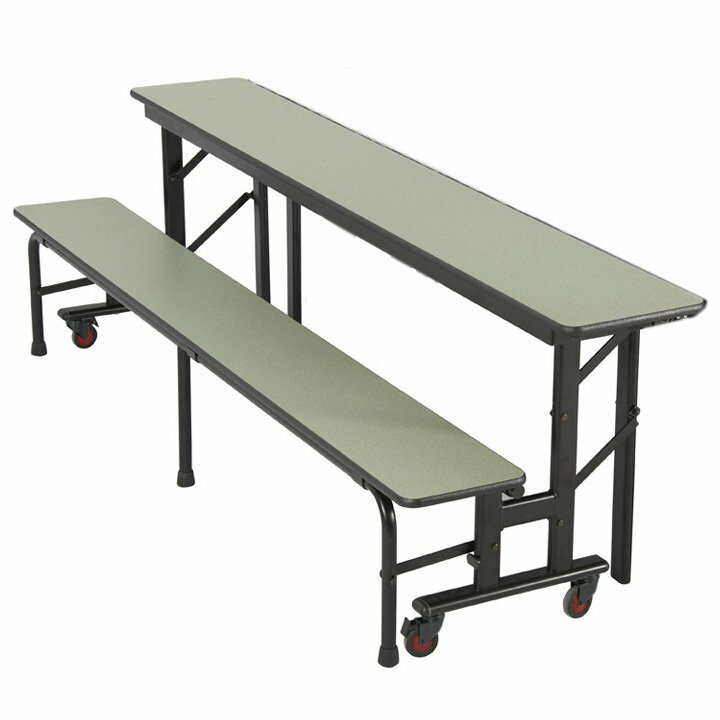 The SICO® 3-in-1 ConverTable has an advanced, reduced-length caster beam design that allows for more tables in a smaller space. 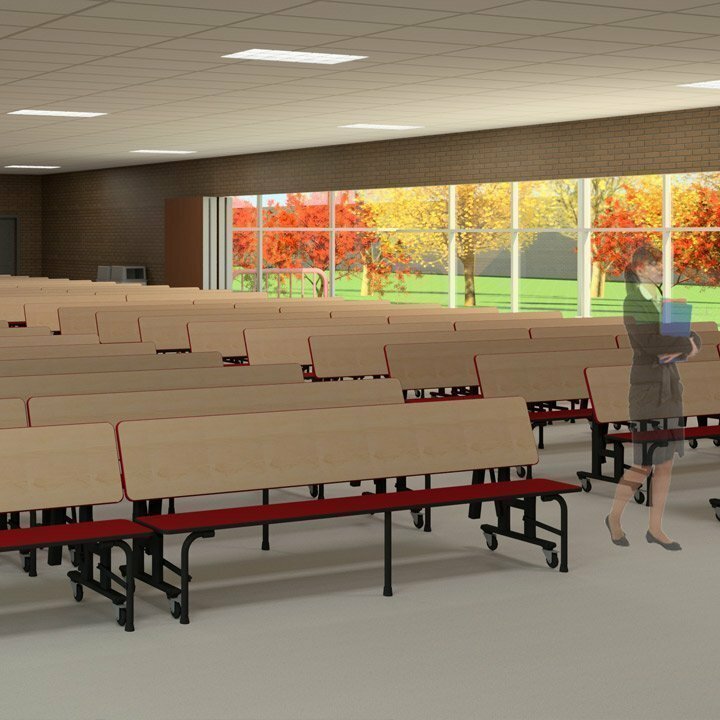 In fact, our beam is 50% shorter and positioned differently on the frame, so when in bench mode, you can walk easily IN and OUT of aisles even with reduced row spacing.